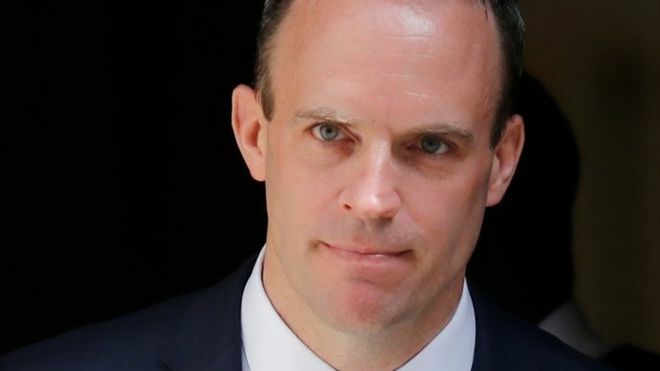 An ambitious former lawyer, whose cabinet hopes have been repeatedly dashed by Theresa May, Dominic Raab has now been thrust into a key role in her government following the resignation of Brexit Secretary David Davis. A staunch Brexiteer, who was calling for Britain’s exit from the EU long before the referendum, Mr Raab is said to be “relaxed” about a “no deal” Brexit scenario and last month called on the UK to display more “economic self-confidence” in talks with Brussels, urging Mrs May not to “cower in a corner” over Brexit. The 44-year-old, who has a black belt in karate, was tipped for high office from the moment he was elected to the safe Conservative seat of Esher and Walton in 2010. The son of a Czech-born Jewish refugee who fled the Nazis in 1938, Mr Raab was brought up in Buckinghamshire and took a law degree at Oxford University before switching to Cambridge for his Master’s. He worked as a lawyer at the Foreign Office before entering politics in 2006 as an aide first to David Davis – the man he is now replacing – and then Dominic Grieve, the Remain-backing Tory MP. But his rise through the ministerial ranks has not been without controversy, with Mrs May taking particular offence at his description of some feminists as “obnoxious bigots” in a 2011 online article in which he attacked the “equality bandwagon” and said that men were getting “a raw deal”. Mrs May, who was then minister for equalities as well as home secretary, accused him of fuelling “gender warfare”. He was appointed civil liberties minister in the Ministry of Justice following David Cameron’s general election victory in 2015. In 2017, he was branded “offensive” by then Liberal Democrat leader Tim Farron after saying “the typical user of a food bank is not someone that’s languishing in poverty, it’s someone who has a cash flow problem”. He played a prominent role in the Leave campaign in the 2016 EU referendum, but was sacked from his junior ministerial role by Theresa May when she took over as prime minister following Mr Cameron’s resignation. 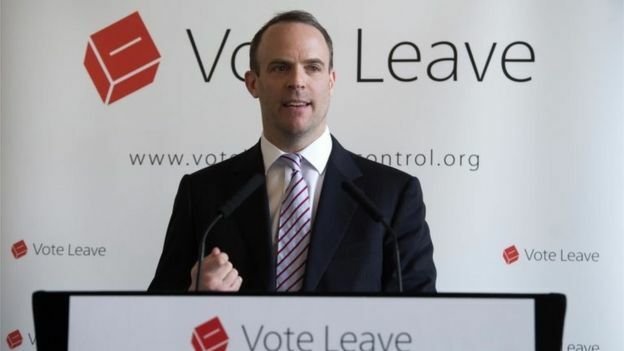 During her January 2018 reshuffle there were reports that Mr Raab had deliberately been sidelined as part of the “new generation” of Tory talent seen as a threat to the “old guard”. Downing Street said his appointment as Brexit Secretary, an area the PM has made a personal priority, showed the “high regard” in which she held him. He proved a loyal pro-Brexit voice on the backbenches, and kept the Leave campaign flag flying as co-founder of the Change Britain campaign group. He was rewarded with a more senior role in the Ministry of Justice following last year’s general election, and moved to the job of housing minister in January. There was further controversy when he suggested immigration was driving up house prices, with the Office for National Statistics demanding that he publish the study on which his claims were based. In May this year, his diary secretary was caught up in a Daily Mirror sting. He dismissed the paper’s allegations that the 20-year-old had met men through a “sugar daddy” website as “a storm in a teacup”. He said his first concern was for the welfare of the woman, who was suspended from her civil service job. The “most salacious” thing in the newspaper’s story was an “untrue” claim that he ordered the same lunch every day, he told BBC News.